Grand Lake Multi Use Path officially opened November 2, 2018 with a new name: The Maryann Corbett Trail. A Crosswalk Strategy for CBRM has been prepared by the Active Transportation Committee in consultation with CBRM Public Works. The Strategy was presented to Council on June 6, 2017. The Crosswalk Strategy can be viewed by clicking here. Active transportation refers to any form of human-powered transportation - walking, cycling, wheeling, in-line skating, skateboarding, skiing or paddling. Active transportation is something everyone does in some form or another, whether it is walking to the bus stop, going for a bike ride with the family, or cycling to school. Residents who turn to active transportation as a viable means of commuting and carrying out personal business realize benefits in terms of health, happiness, reduced travel costs and the satisfaction that their travel produces almost no pollution, benefiting the environment. Check out these videos to learn more about how CBRM residents incorporate AT into their daily lives. This spring, why not try cycling around our region? The CBRM Active Transportation Committee and Velo Cape Breton partnered to create cycling maps and a cycling handbook to help you get started. 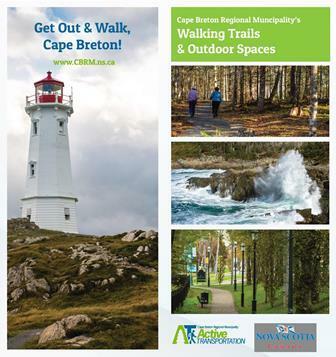 Paper copies of the map are available at the CBRM Recreation Department. Click on the links below to view the map. 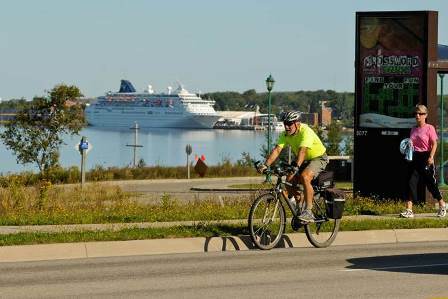 The CBRM Active Transportation Plan was approved by Council on June 17, 2008. Please click here to download a copy of the Executive Summary of the AT Plan. Since the CBRM AT Plan was adoped in 2008, much work has taken place to implement the Plan's recommendations. Active transportation refers to any form of human-powered transportation - walking, cycling, wheeling, in-line skating, skateboarding, skiing or paddling. 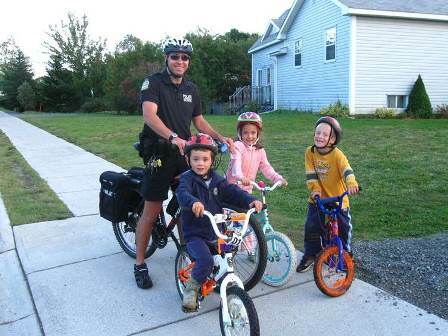 Active transportation is something everyone does in some form or another, whether it is walking to the bus stop, going for a bike ride with the family, or cycling to school.